If you aren’t already using automated lead nurturing with a system like HubSpot, perhaps these figures will convince you it’s time. 96 percent of visitors who come to your website aren’t ready to buy (yet). 48 percent of businesses say most of their leads require “long cycle” nurturing with many influencers. Targeting users with content that matches their stage in the sales funnel yields 72 percent higher conversion rates. 57 percent of marketers say lead nurturing is the most valuable feature of automation software. 77 percent of marketers using automation software convert more leads. Lead nurturing emails get 4-10 times the response rate of standalone email blasts. Nurtured leads have a 23 percent shorter sales cycle. 67 percent of B2B marketers say they see at least a 10 percent increase in sales opportunities through lead nurturing, with 15 percent seeing opportunities increase by 30 percent or more. Nurtured leads produce, on average, a 20 percent increase in sales opportunities versus non-nurtured leads. 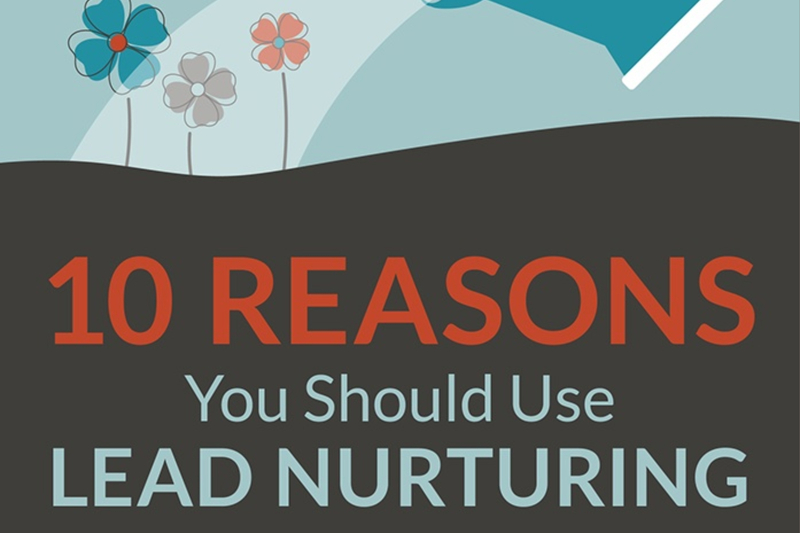 65 percent of B2B marketers have NOT established lead nurturing. Are you ready? Download our Lead Nurturing Workflow Template or Lead Nurturing Toolkit for the tools that make getting started simpler.